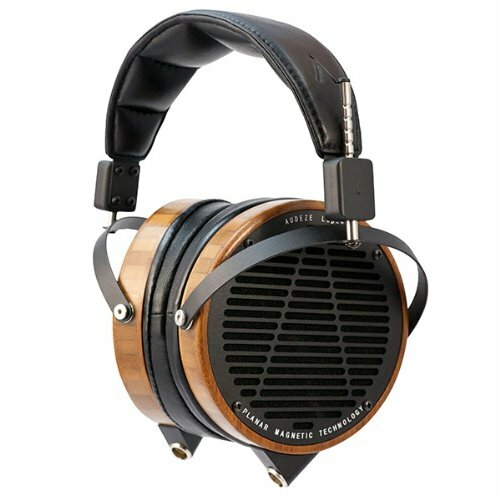 "The LCD-2 is the legendary headphone that made Audeze an industry leader. Continuous evolution and the addition of Fazor technology have enhanced its transparency and overall performance. Known for their tight, extended bass response, smooth, inviting midrange, and warm high frequencies, the LCD-2 headphones offer a listening experience that makes believers out of even casual music listeners. For the best performance The LCD-2 requires an external headphone amplifier." "Running in pure Class-A, it is a concentrated version of our award-winning Soloist. At 5.5in x 3in x 8in it takes less room on your desktop. The power output is a robust 2.5Wpc into 16 ohms and drives most if not all headphones to their full potential."